Dubai and Abu Dhabi are the two names that come to mind when one things of the United Arab Emirates. However, the UAE has five more Emirates or cities. Although not as popular as Dubai and Abu Dhabi, these Emirate cities too offer some interesting places to see and things to do. Moreover, the best part is that as these Emirates are not very well known, you would find them to be less crowded. So if you want to take a break from the hustle-bustle and crowd of Abu Dhabi and Dubai but still want to have a good time, heading to Sharjah and Ajman would be a good idea. Sharjah is eclectic mix of culture and modernity. 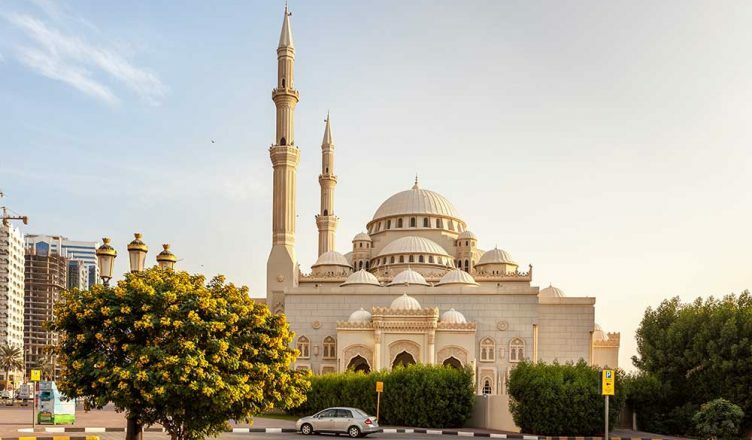 Although the city may not be as advanced as the other Emirates, Dubai and Abu Dhabi, Sharjah still has wonderful attractions that imbibe modernity and tradition. 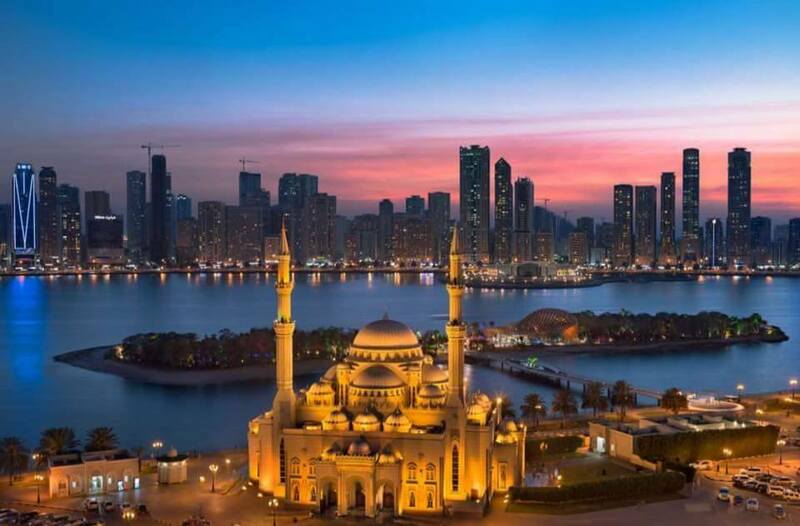 Sharjah is developing fast as a holiday destination and will soon compete with the other Emirates. There is a lot you can see, do and experience in Sharjah. Here are few awesome places in Sharjah. Checkout this Guide to follow for do and don’ts for UAE. Sharjah is the art centre of the Middle East. This fact is very significant because there are strict rules regarding art in Islam. This is the reason why there aren’t many art museums and exhibitions in the Middle East. But the Sharjah Art Museum is the largest art museum in U.A.E. A total of 72 galleries, spread across 3 floors hosts art from H.H. Sheikh Dr. Sultan bin Mohammed Al Qassimi, the ruler of Sharjah’s collection. There are also paintings by 18th Century painters who were influenced by the Middle East. In the contemporary section, there are paintings by more than 300 modern artists. Sharjah Art Museum is always packed with tourists and is must-visit place. With more than 600 shops to sell you everything from gold to hand-woven carpets, the Blue Souk is Sharjah’s favorite place to shop. 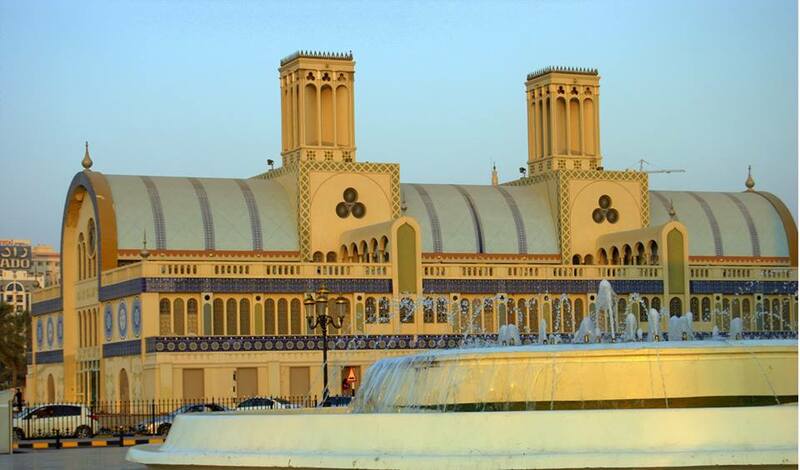 It is also known as Sharjah’s Central Market, and is a good place to experience traditional market shopping. Though the place looks like a mall from outside, adorned with stylish blue tiles, from the inside, it is set up to look like a traditional market place. Rows and rows of stalls selling everything from souvenirs, clothing, spices, antiques, jewelry, etc., will make you think you are in an Arabian market in the middle ages. There are different sections for specialized products. And if you are hungry, there are many cafes as well serving delicious food and beverage. Therefore, make sure your itinerary has some leisure shopping time. A place for nature and history lovers, the Sharjah Natural History Museum and Desert Park is where lost and historical flora and fauna come alive. It is divided into 3 sections – Natural History Museum, The Children’s Farm, and Arabian Wildlife Centre. Natural History Museum showcases the natural history of the world, and of the Middle East. At The ChildrenÍs Farm, children can interact with farm and domestic animals, and even learn about them. At The Arabian Wildlife Centre, there are live samples of a rare flora, and there are recreated statues of lost Fauna, and information about them. The famous Geology Section carries in-depth knowledge on the origins of the world, and draws the most tourists. The Sharjah Natural History Museum is a place rich with knowledge, and you will leave this place feeling a lot smarter. The Sharjah Aquarium is the largest government education centre in the country. 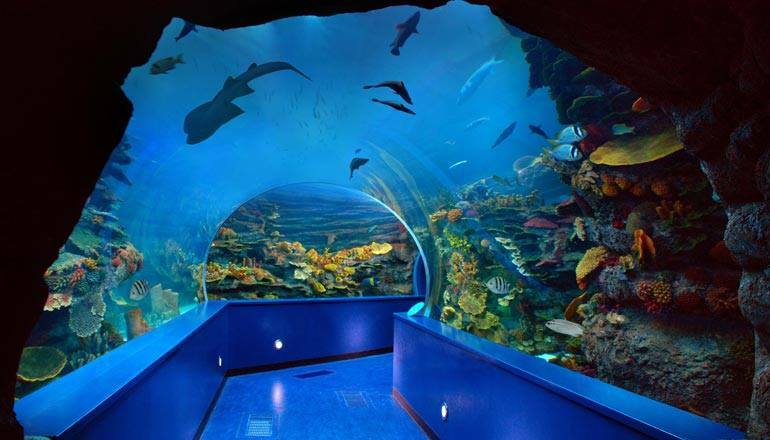 This massive aquarium is home to more 150 species and serves the dual purpose of an aquarium and a conservatory. There are close to more than 20 different aquariums spread over 2 massive floors. You can see marine life like eels, rays, reef sharks, and other rare species. Sharjah Aquarium is also home to a lot of knowledge on U.A.E.’s coastline and also holds marine creatures exclusive to the area. It is a great place to spend a day, and feel like you are actually living under the sea. If you want to step back into the Bedouin era and know how life was for the Emiratis in the past, you must spend some time at the Sharjah Heritage Area. 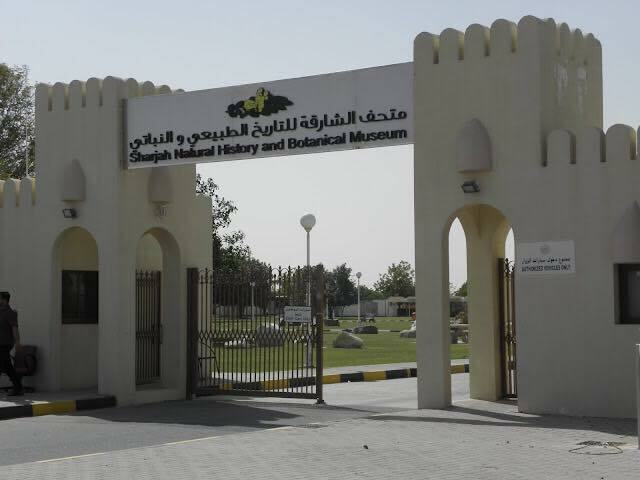 The place consists of a group of museums including the Sharjah Heritage Museum, Al Midfaa House, Hisn Fort, etc. You get to see a traditional, open courtyard souk that sells everything from jewelry to traditional garments. You can see a traditional family home at Al Midfaa House where you get to learn about the literature and culture of the place. You can also check out the wind tower of this house. 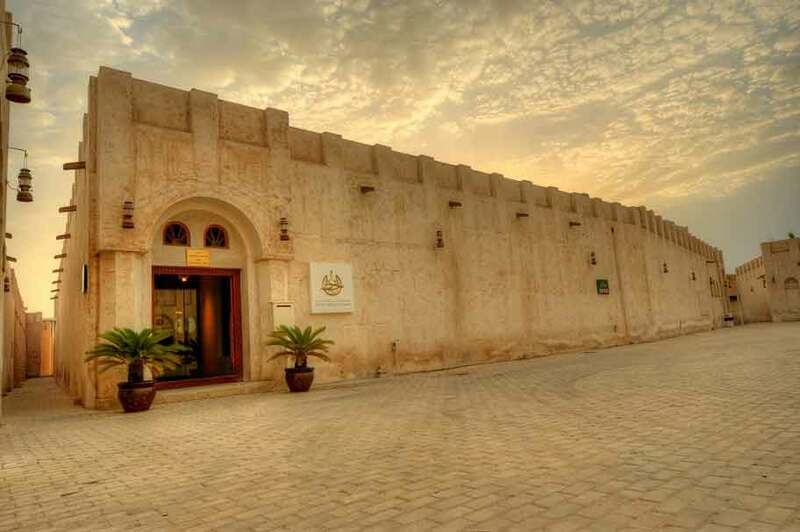 On the other hand, you can get to know about the history of Sharjah at the Al Hisn Fort, which was the home of the ruling family of Sharjah. Moreover, with the entry fee around AED10, this is also one of the cheap places to visit in Sharjah. The Sharjah Archeology Museum takes you back to the past of the city, even earlier than the Bedouin era. In fact, the museum displays the proof of existence of the city since Stone Age. Apart from Stone Age, the exhibits would take you through Obaid Period, the Bronze Age, the Iron Age, etc. Some of the highlights of the museum include the ceramic dome, the camel statue, the ivory comb inside an alabaster bowl, a golden birdle, etc. If you want to miss the place thinking that your kids would be bored, you must know that the museum organizes fun games to keep little children entertained. If you are looking for places to visit in Sharjah for free, it would be the beaches of the city. You would find plenty of public beaches in the city and one of the best is the Al Corniche Beach. The beach has three sections, one dedicated to families, the second dedicated to singles and the third for the general public. It would be a perfect beach to visit if you want to just relax and watch the beauty of the beach and the ocean. If lounging in the soft white sand is not enough for you, you can also choose to swim in the clear blue waters and even indulge in surfing. Every Emirate in U.A.E. 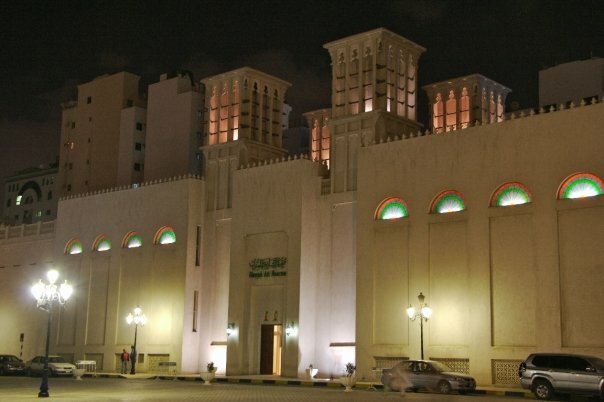 has a culturally significant mosque and the Al Noor Mosque is the one in Sharjah.Though the mosque is not very old, it is the first mosque that opened doors to expats and tourists as her highness, Sheikha Jawaher bint Mohammed al Qassimi, wanted the tourist to see the beauty and culture of Islam in U.A.E. Since then, the number of tourists has only increased, who come to see the beautiful Turkish Ottoman architecture, the pools, the minarets and the world record breaking wooden charity box that was installed in 2014. Al Noor Mosque promises peace, quiet and divine feeling to everyone who visits. Start off at a fun place. 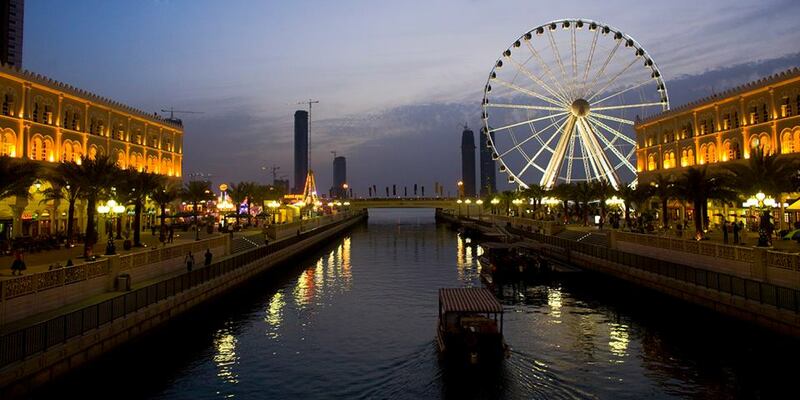 Al Qasba is the place where quite a few attractions of Sharjah are located, including the Eye of the Emirates Ferris wheel. You just have to take a ride aboard. It reaches a height of 60 metres, and you can see views upto 50 kilometres wide. It will be an exciting ride while the view will be truly spectacular. It is surely one of the best places to visit in Sharjah at night. Once down, there are many restaurants, cafes, and retail centers to have a good, leisurely time. There is also a canal, where you can take a ride in a traditional abra. You can also visit the Al Qasba theatre and catch the latest concert. Al Qasba is the best place to experience the lifestyle of the people of Sharjah. Known to be the smallest emirate with just 260 square kilometer area, Ajman is hardly known to tourists. While you may not be able to see too many towering buildings and enormous complexes in this Emirates city, there are several interesting things to see here. Also, if you are interested in a leisurely holiday, this is the perfect place to go to. The best part is that even though the city focuses on business and tourism for its main income, it still upholds the oldest occupation of fishing and pearl diving. With this note, let us take a look at the best Ajman tourist places. The best way to know about any place is to visit its museum. 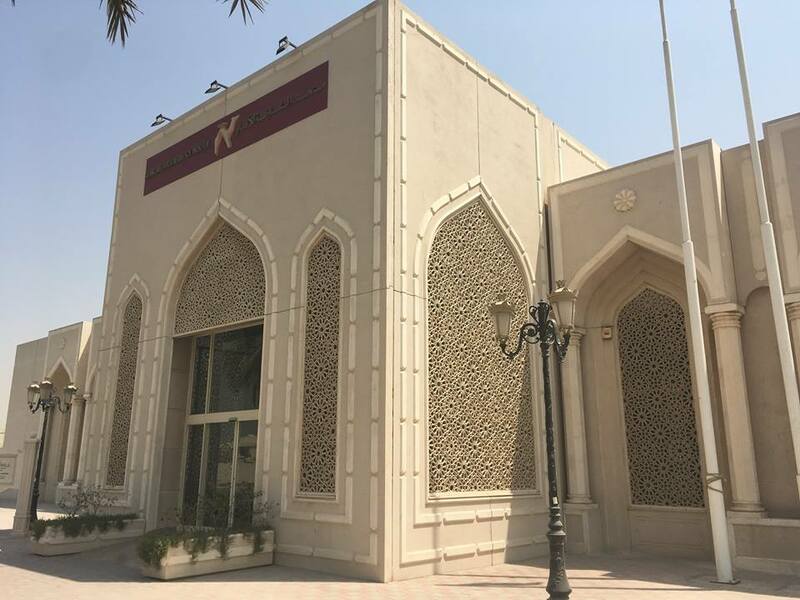 The Emirate city of Ajman offers you the Ajman National Museum where you would be able to trace back the history of the city. The museum is located inside the 18th century fortress, which is one of the oldest fortress of the country as well as the residence of the ruling family. While the fortress with its watchtowers, wind towers and gateway flanked by giant cannons, is itself quite interesting, the exhibits are surely even more interesting. You would get to know everything about the past of the locals including their lifestyle, occupation, weapons used, etc. You would find the specimens of excavations from the nearby areas in this museum. One of the best things to do in Ajman is visiting the dhow building yard in the city. 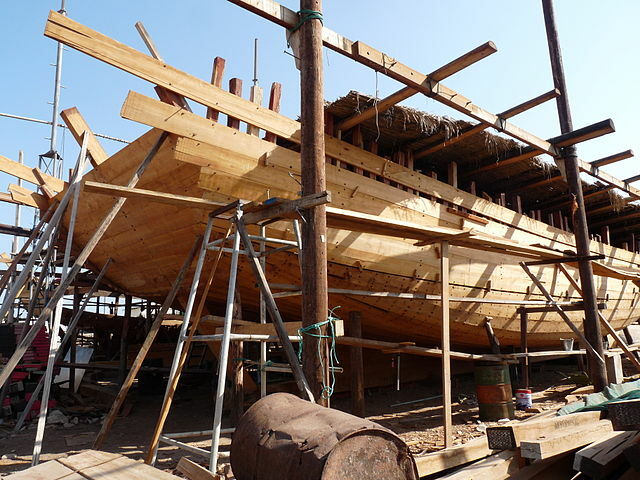 Not only is it the largest dhow yard in the entire world, but you also get to see the process of building the traditional dhows in the old-fashioned way. In other words, the craftsmen build the dhows using the traditional methods and tools used by their forefathers. But the best part is that all this is done without any blueprint. Apart from the dhows, you would also get to see the construction of fiberglass dhows that are used for racing at this dhow yard. If you find this interesting, this is surely a place to visit when in Ajman. One of the landmarks of Ajman is surely the Etisalat Tower. 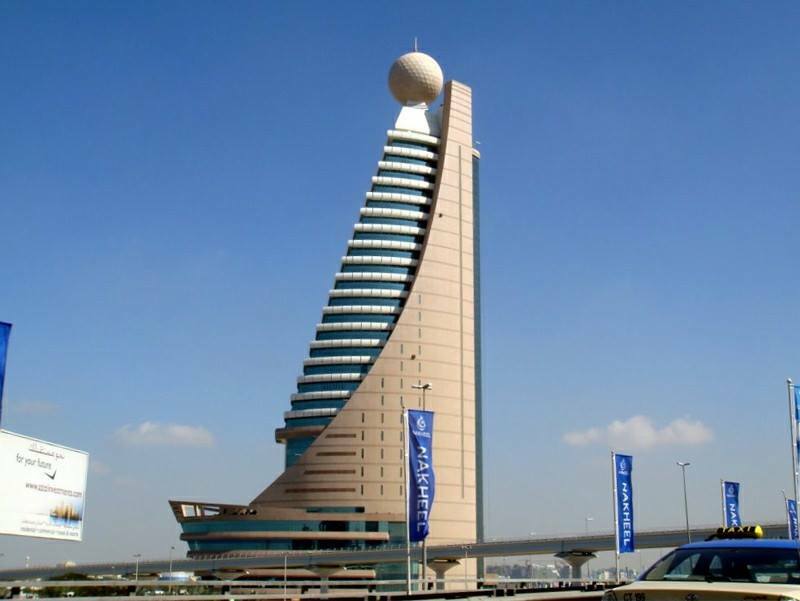 This seven-storied building may not be Burj Khalifa, but its architecture and structure make it one of the unique buildings in UAE. Covered in pink and blue colors, the building is truly modern with the architectural elements seen in a mosque. However, the highlight of the building is the giant ball-like structure at the top of the building. It is known as the giant gold ball. Due to its size of the ball, it can be seen from anywhere in the city. The building symbolizes the much needed as well as the ongoing development and modernization of the city of Ajman, and hence worth seeing. Ajman has the best coastline in entire UAE and hence has the best beaches in the country. Most of the beaches are private properties of hotels or luxury resorts and offer you amazing beach facilities. Even if you are a guest at one of these beach-facing hotels, you can easily get a pass, spend a day of leisure at one of the beaches and enjoy the beautiful weather, the white sand and the blue waters. If you are lucky, you can also spot dolphins at the beaches of Ajman. 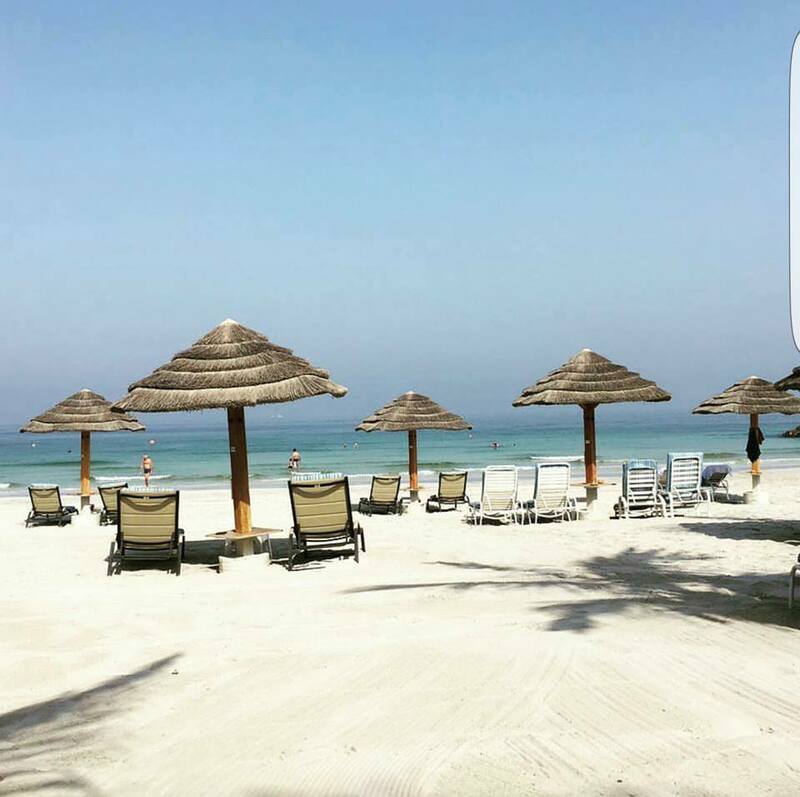 Another great place to visit would be the Ajman Corniche where you would enjoy a beautiful stretch of beach, cafes, restaurants and entertainment too. Some other places that you can visit in Ajman include Al Zorah Natural Reserve, Al Murabaa Watchtower, Sheikh Zayed Ajman Mosque, etc. Sharjah and Ajman do not promise too much glitz and glamour. However, they do promise a fair dose of culture, recreation and a peaceful holiday. So, next time you plan to visit the UAE, check out these Emirate cities too.